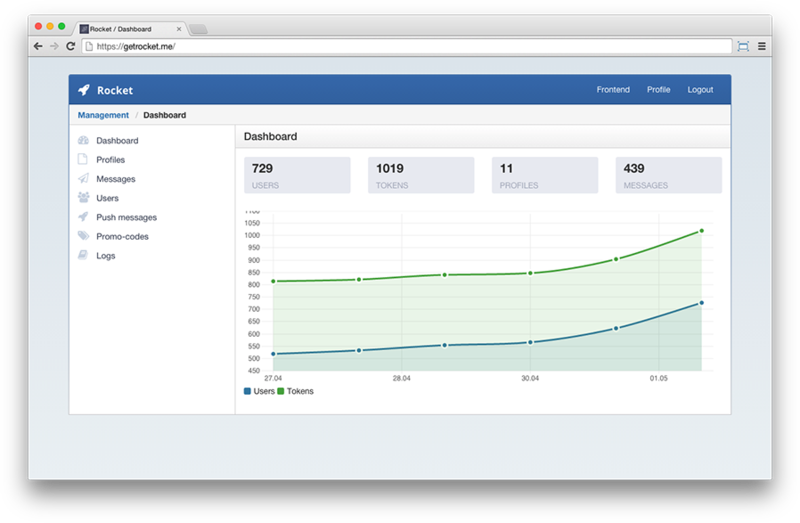 Backend: PHP 5.6, Yii 2.0, MySQL. 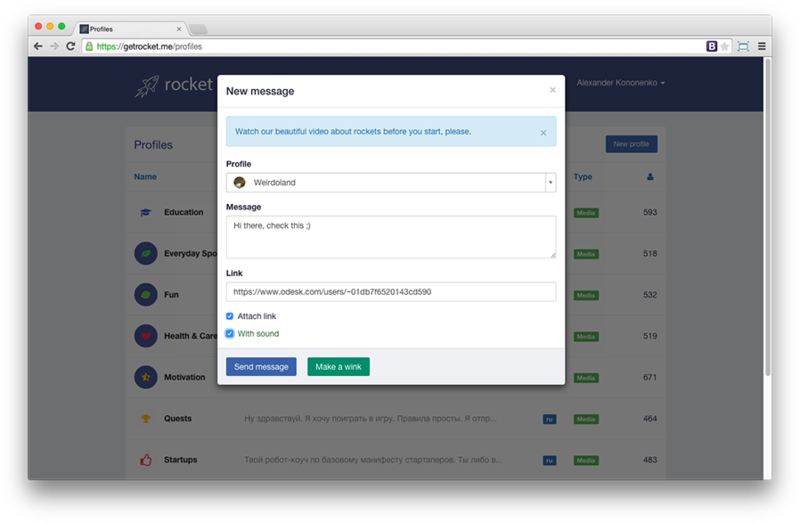 For push messages Redis 2.6, ApplePNS and RabbitMQ are used. 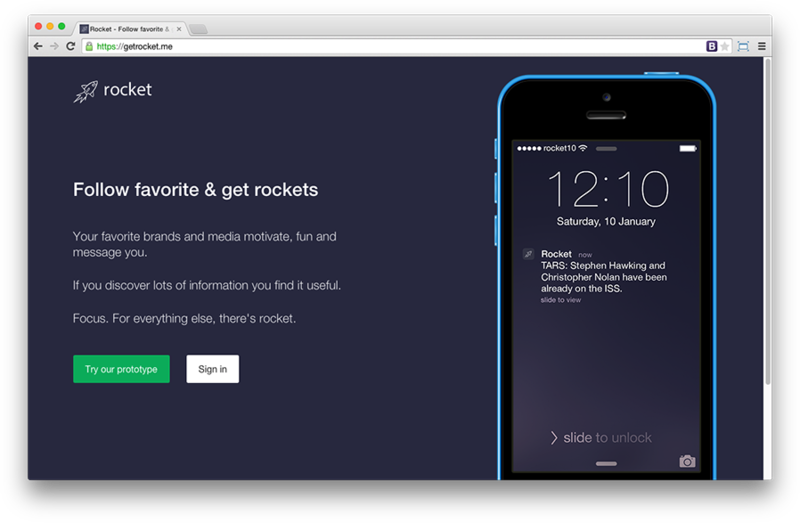 "Rockets" are push notifications, sent from profile pages to subscribers. 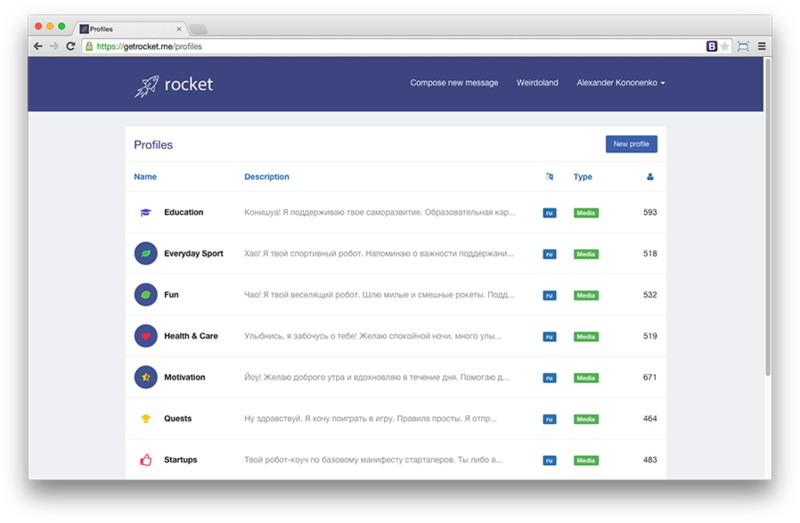 Users are able to create profiles, follow interesting ones and receive "rockets".